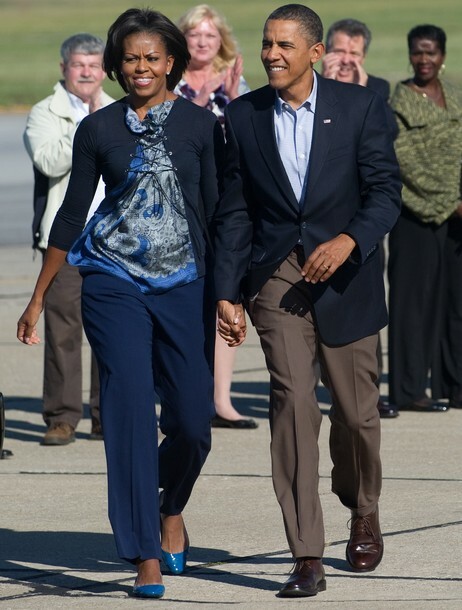 ← iOTW: It just doesn’t fit :( Like Michelle Obama’s Sweaters? US President Barack Obama and First Lady Michelle Obama walk across the tarmac after disembarking from Air Force One upon arrival at Cleveland-Hopkins International Airport in Cleveland, Ohio, October 17, 2010. The Obamas are scheduled to speak at a Democratic fundraiser before continuing to Columbus, Ohio, to speak at a DNC rally. Flashback to Oct 3, 2010, via Mrs-O……. 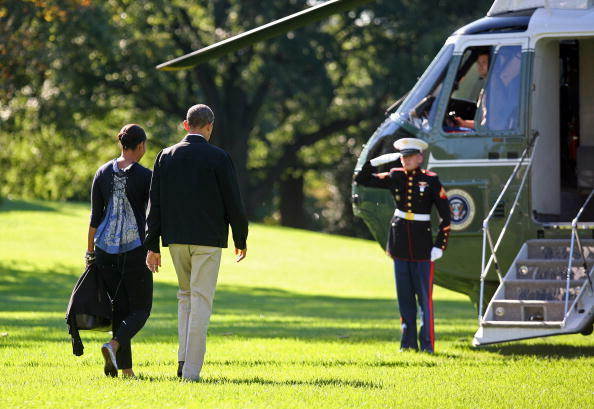 The first family spent the weekend away at Camp David — hopefully a relaxing, fall retreat for the Os! Mrs. O debuted two, new casual ensembles while traveling to and from, including an inventive lace-back top. Can you imagine if Sarah or Hillary did this? Or Laura Bush….? Mentally ill, perhaps. I hypothesize about what is going in her head on my blog.